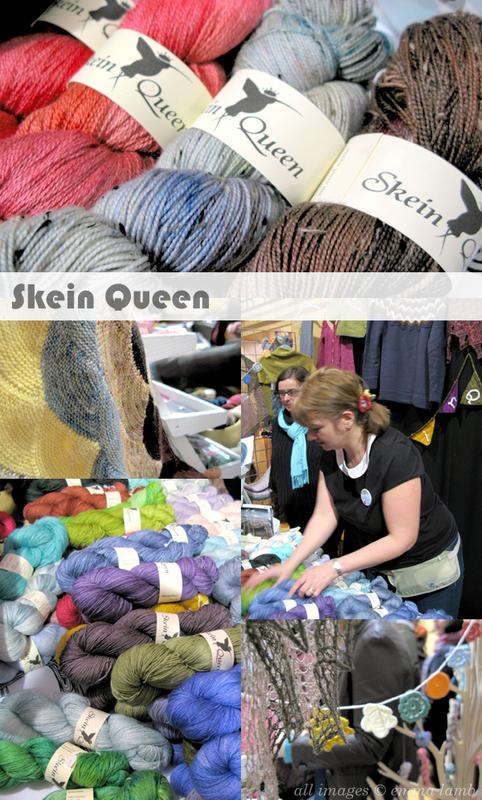 Top of my list of course was the fabulous Debbie, aka Skein Queen! I've only known Debbie online so it was a real treat to finally get to meet her in person, not to mention all of her gorgeous yarns! Getting to see them and 'squish' them all in person, spending a long time dithering over which colours I couldn't leave without. Debbie has an amazing eye for colour and although her yarns are semi-solids (a marled colour distribution) they have such an intensity and vibrancy. I can't wait to show what I bought, maybe on Friday. 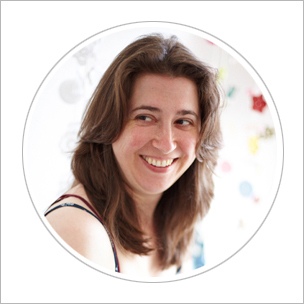 We also got chatting about a few yarn related things (as you would expect) and I asked her a few questions about something I've been pondering for a while now... but that's for another day! Oh, and it was a real teat to see one or two of my garlands decorating her beautiful stall! 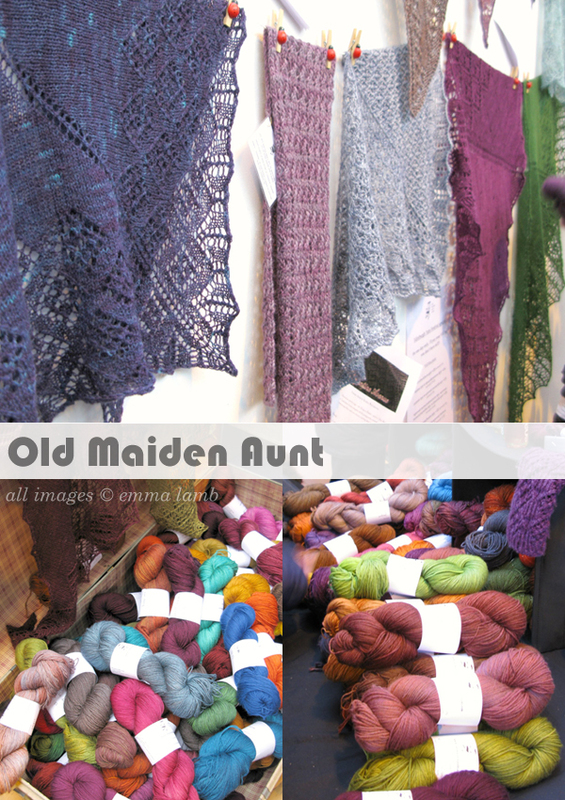 Old Maiden Aunt Yarns was another stall I didn't want to miss and a whole lot of other folks had the very same idea. I think it took me ten minutes to get in to see these beautiful yarns properly, Lilith's fabulous twinkly sock yarn seemed to be holding everyone up! Once I got in I had a great time rummaging through trunks full of delicious yarn (bottom left in the picture below). Her colours are equally as mesmerising as Debbie's are but to me Lilith seems to have more of an eye for beautiful vintage tones. Slightly more muted and earthy, but still very vibrant too... I wish I could have brought that whole trunk home with me! Another stall that was crowded most of the day was Lioness Arts, Dani probably thought I was a wee bit odd since I kept stalking past her stand hoping for a photo op... sorry Dani! I did get a quick one in the end and was able to chat with Dani for a wee while, she is super lovely! Of course her yarns are utterly beautiful too; lots of very pretty rich pastel tones (a wee bit bolder than regular chalky pastel colours) mixed with berry colours and some intense greys and blues. 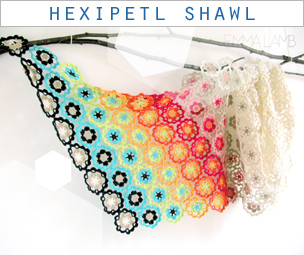 Her Exquisite Sock yarn was by far my favourite and I shall definitely be stalking her Etsy shop for it's next update! Last but by no means least is Susan Crawford's stall full of the most beautiful vintage samples and colours you could possibly hope for! It was so inspiring to see someone so passionate about keeping vintage designs and aesthetics alive. I picked up Vol.2 of A Stitch In Time and have already booked marked a few things I'd like to try. There are some gorgeous Fair Isle patterns too but it's a technique I haven't practised for a very, very long time. It may take a while but I would love to knit the 'Wartime Farm Sleeveless Pullover' for myself... okay, a very, very long while! One stall that I'm a wee bit disappointed I didn't get to photograph properly for you was The Yarn Pony, this is Mica's (one of EYF's organisers) hand dyed yarn brand, next time I promise! But I did get to chat to her for a wee while too, another super lovely lady who is incredibly passionate about her yarns. All in all, the whole event was amazing. Much busier than the organisers expected but it definitely confirmed their suspicions that there is a huge market for this kind of event here in Scotland, so of course we're all eagerly awaiting the next one! I think I only spent around three hours there on the day, but came away totally energised and inspired by it all. It made me want to create and create and just keep on creating! It's also making me rethink a few things which in turn is helping me to generate lots of new ideas, not just for crochet makes but other avenues of creativity. It feels great! Thank you so much Mica, Jo and Linda for your vision to create such a wonderful event here in Edinburgh and to all the wonderful volunteers who helped make it happen too. I shall see you at the next Edinburgh Yarn Festival! It looks like such a wonderful event! I've made it one of my goals to make it to at least one yarn festival this year, just the thought of being around so much gorgeous yarn makes my heart do a little dance! Emma, thank you so much for this two-part reporting on the Festival. Quite a few years ago, way before anyone knew of the internet and all the connections it allows us to make with like-minded folks, I visited Edinburgh, and so loved the city. I also visited Glasgow and saw the MacIntosh and Whistler treasures there. Strangely, what I did not seem able to find were any local shops that sold beautiful Shetland wool...or any knitting wool, actually. It was so strange. I felt as if I'd left my knitting decoding ring at home...or something. Since then, I have joined the internet age and been able to order Shetland wool from Jamieson with wonderful results. Still...I am so delighted to see what other yarns are being spun in Scotland and that Edinburgh is championing their continued success. I really love all your posts and the way that you do show us Edinburgh from your vantage point. 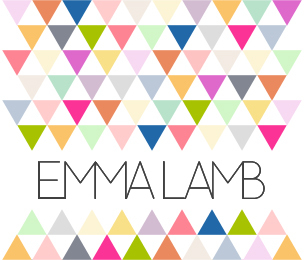 Emma, I loved all your lovely photos and both posts from the Yarn festival. So amazed how much traffic there was! 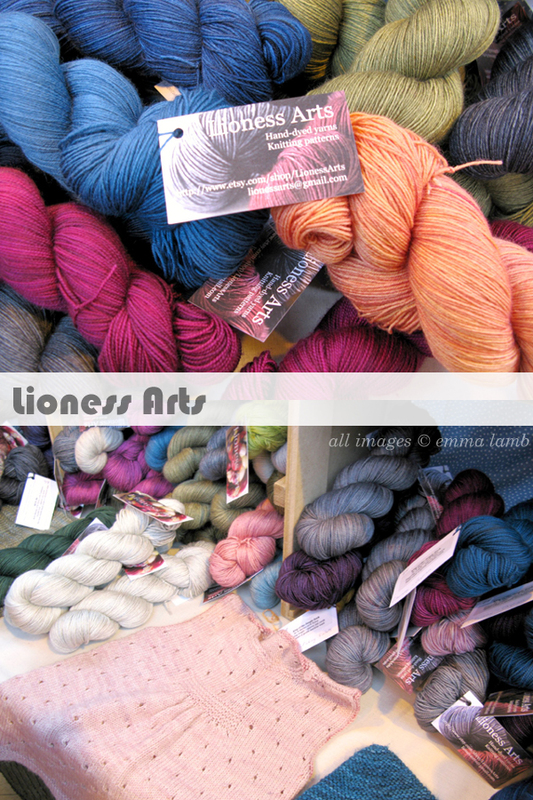 So many beautiful yarns & colours! Beautiful and inspiring photos! Thank you for sharing them. I wish we had something like that here in Finland too. Maybe one day.